The team here at Southwest Eye Care and Laser have helped so many people throughout the Bakersfield area achieve great eyesight. This is thanks to state-of-the-art approach to laser eye surgery, offering high-quality procedures performed with advanced precision. While many people think of LASIK when they think of laser eye surgery, there's an alternative to LASIK that can be quite effective known as PRK. Let's look into PRK and how effective the surgery is right now. 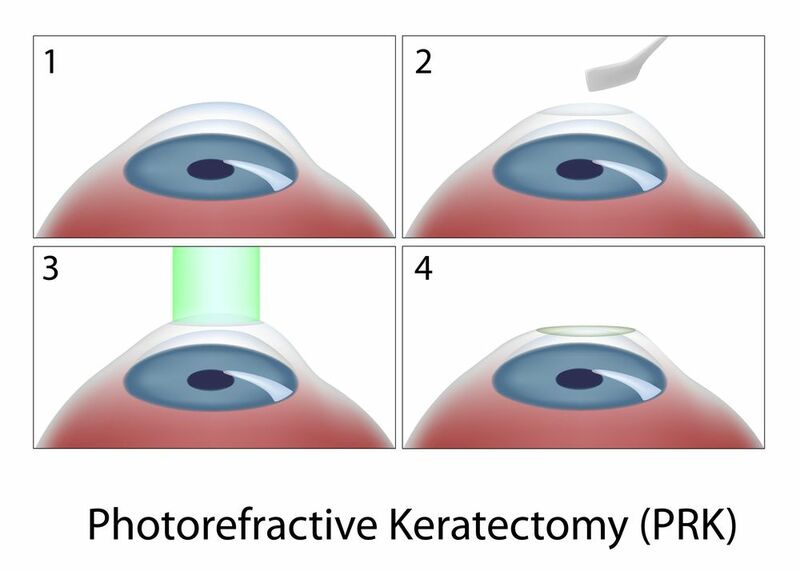 PRK (photorefractive keratectomy) is a type of refractive surgery that is used to improve vision in people who suffer from refractive error. During PRK, a laser is used to reshape the contour of the cornea. In the process, this helps light pass through the eyes properly, focusing on the retina in the way that it ought to. PRK differs from LASIK in the way that the procedure is performed. During LASIK, a small flap is created on the corneal surface that allows the laser the ability to reshape the cornea. In PRK, the topmost layer of the cornea is removed to allow the laser proper access; this top layer will grow back as the patient heals. Typically patients will undergo PRK instead of LASIK due to issues with corneal thickness and shape. Thin corneas or irregular corneas can make people poor candidates for traditional LASIK, which is when an alternative such as PRK can be considered. In general, studies have found that PRK success rates are quite exceptional. An estimated 95 percent of PRK patients achieve at least 20/40 vision after undergoing the procedure. This means that 95 percent of PRK patients will not to wear corrective lenses such as glasses or contacts in order to see clearly. When PRK is used to treat presbyopia rather than LASIK, success rates differ a tad. Monovision PRK surgery is about 85 successful, which means that a good amount of patients will be able to see better thanks to this procedure. Again, the results are quite good. Studies have found that roughly 95 percent of PRK patients say that they are happy with the results of their procedure. This is a significant amount of patients and a testament to the effectiveness of the surgery. How do these success rates compare to LASIK? PRK success rates are actually quite comparable to LASIK surgery success rates. As with PRK, more than percent of patients achieve excellent vision and are happy with the way that their surgery turned out. Truly, PRK is a fine alternative to LASIK that can achieve great things as well. During a consultation at our practice, we can go over all of your options for vision correction and enhancement. In some cases, it may be found that another LASIK alternative would be better for your needs. We can discuss all viable treatment options with you in greater detail during your visit, and we can discuss risks and benefits of surgery as well. For more information about PRK and how it can help you achieve excellent vision, be sure to contact our advanced eye care and laser vision correction center today. The entire team here at Southwest Eye Care and Laser looks forward to your visit and helping you achieve exceptional vision.